Wrentham, MA (July 9, 2018) – The Massachusetts State Police have identified the victim in a fatal rollover crash that occurred Sunday evening. We first reported on this story Sunday. The crash occurred on I-495 in the southbound lanes, near exit 16. One person was killed in the crash when their vehicle rolled over. State Police have now identified the deceased as 68 year old Chan Pheng Keoboonthanh of Middelboro, Massachusetts. Keoboonthanh died at the scene of the crash. The road was closed for nearly three hours while police investigated the wreck. As of Monday morning, authorities have released no additional information regarding the crash or what caused the vehicle to roll over. We are saddened to hear of this fatal injury accident in Wrentham. We frequently encounter these types of accidents in our everyday law practice. They are difficult for all involved and there are simply no easy solutions when a loved one has passed away unexpectedly and suddenly in a fatal collision. If a loved one has died as a result of the car accident, the remaining family members may have legal rights. In certain cases, the next of kin may bring a lawsuit for wrongful death against the person who caused the fatal collision. 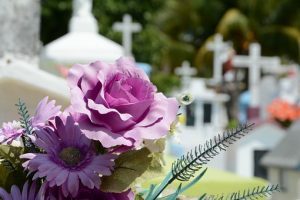 If negligence of another person leads to a death, wrongful death laws provide compensation to surviving family members. The specifics of what you are entitled to recover depend on the particular circumstances of your case. A wrongful death claim is extremely complicated and has many rules and procedures that need to be followed to ensure that your legal rights are protected. You should never attempt to handle this type of case on your own. Rather, if you find yourself in this situation, you should seek the services of an experienced Boston wrongful death attorney. At the Law Offices of Jeffrey S. Glassman, our team helps injured accident victims and loved ones of accident victims who have been killed in crashes that were not their fault. We take a compassionate, yet tough and experienced approach to handling out clients’ cases. Our goal is to get the results you deserve. For a free consultation with one of our attorneys, give us a call today at 617-367-2900.